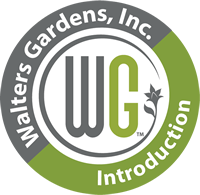 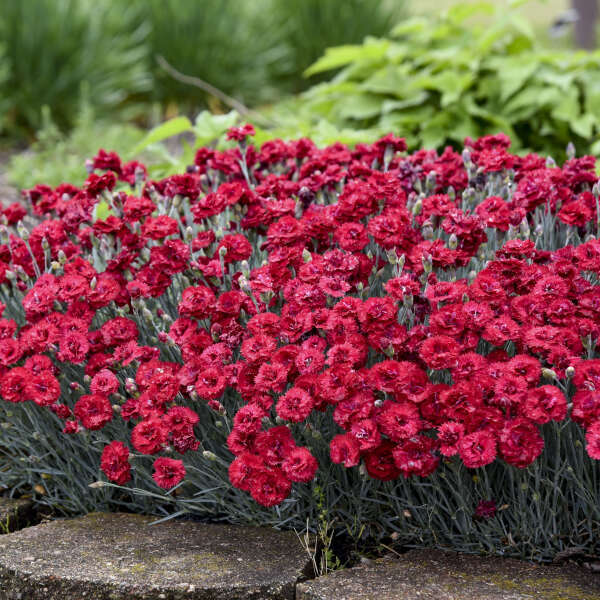 Red flowers are a hot color for a garden, and ‘Maraschino’ delivers with 1 ¼ - 1 ½” wide cherry red flowers and dark burgundy eye. 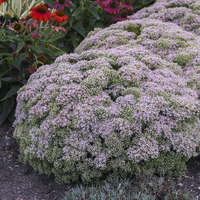 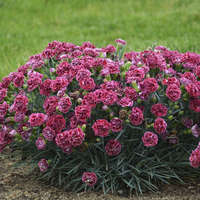 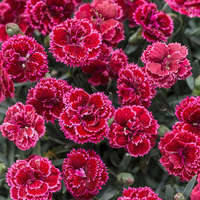 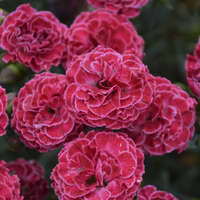 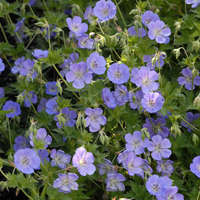 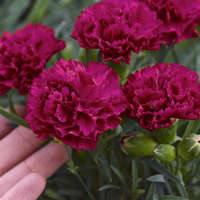 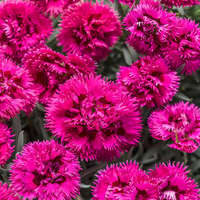 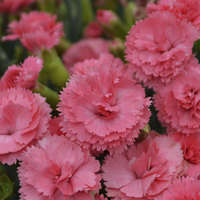 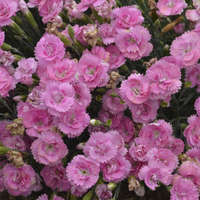 Fluffy, double flowers with deeply fringed petals have a sweet fragrance. 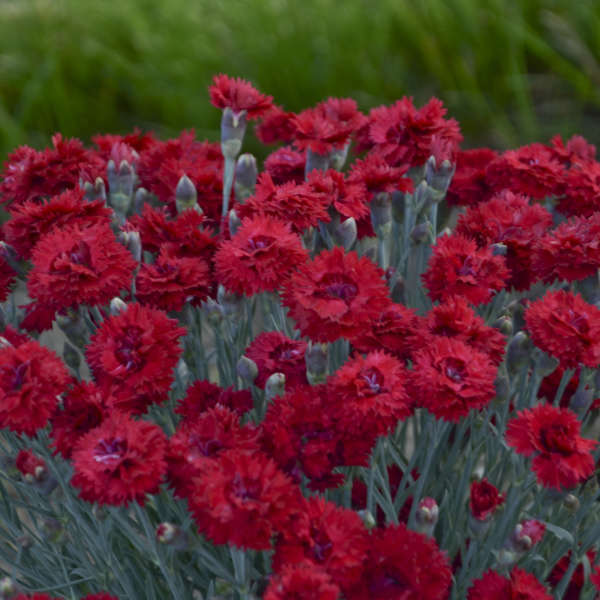 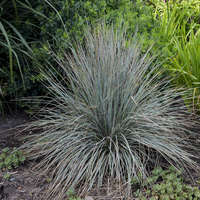 If you need something to contrast the green foliage in your garden, ‘Maraschino’ will surprise and delight you with its silvery blue, spiky leaves. 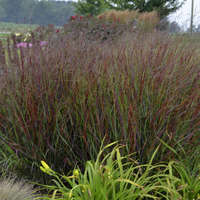 The foliage looks great all season, and won’t get tired in the heat of summer.